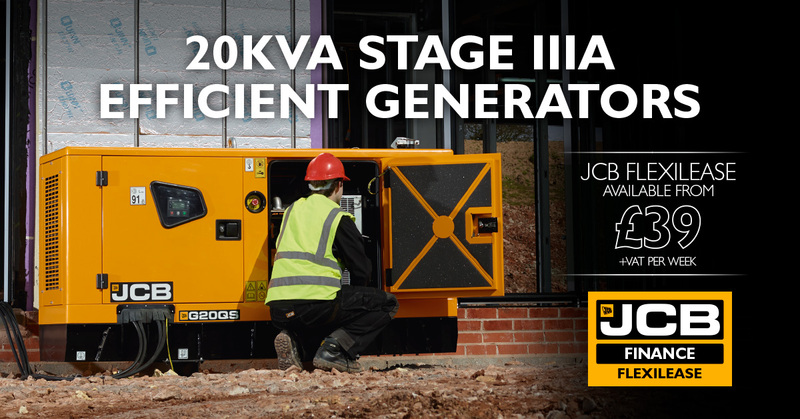 This year at the Showman’s Show, JCB will be displaying a range of generators from 20kVA up to 100KVA, the ideal power solutions to support your events. The company will also be showing its rental specific generators, including the new G18RS – robust, reliable and efficient, everything you need from your power supply. Whether you’re organising a sporting event or planning a wedding, a JCB generator is the perfect power solution to support any event. To provide further support, the company has launched JCB FlexiLease, a unique lease funding option on its Stage IIIA generators, providing reliable power at an affordable weekly price. Find out more about the many benefits of JCB FlexiLease: https://www.jcb.com/en-gb/campaigns/2018/stageiiia-generators. All the generators on display at this year’s show will display an attractive weekly FlexiLease figure. They’ll also be a special show offer available exclusively on the 40KVA rental power generators. Plus, for every quote request the company takes at the show, it will enter customers into a prize draw to win tickets to an exclusive Formula 1 team tour. Visit JCB on Stand 159, Avenue B.